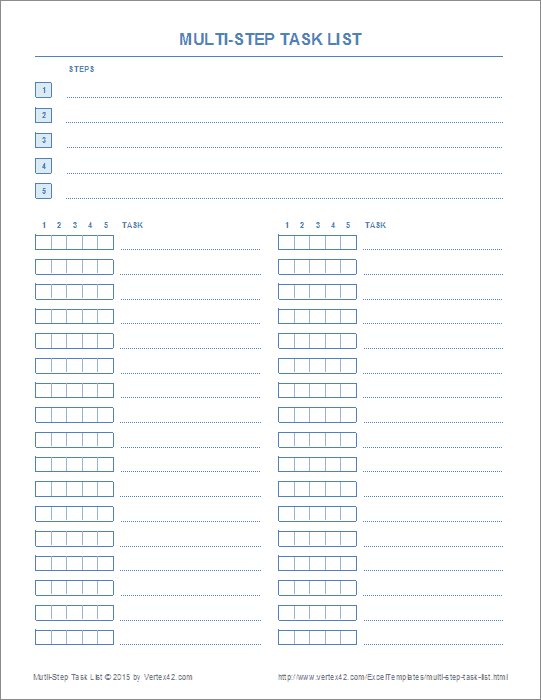 Download as an Excel template or printable PDF. This special checklist is something I use a lot, though until now I've always just created it by hand on blank paper. I use this type of task checklist when I need to make the same changes or updates to many different files. In this case, the tasks are the different files to edit and the multiple checkboxes for each task are the changes, updates, or verification steps required for each file. This type of checklist is particularly useful when the work is tedious and you want a good visual way to show the progress you are making. There are likely other ways to use this template, so if you find other uses, please let me know. The two PDF files below are different only in how the steps for each task are defined. In the "A" design, the steps are listed at the top horizontally. 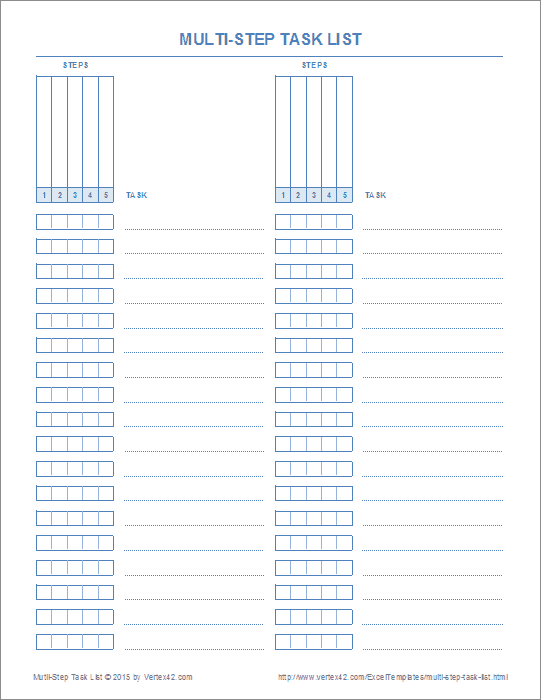 In the "B" design, the steps are written in vertically above each column of check boxes. This spreadsheet contains both of the designs shown in the screenshots above, as separate worksheets. The PDF files above were created using this Excel template. The template provides up to 5 checkboxes for each task. However, you can edit the template if you need more than that by inserting new columns or rows.